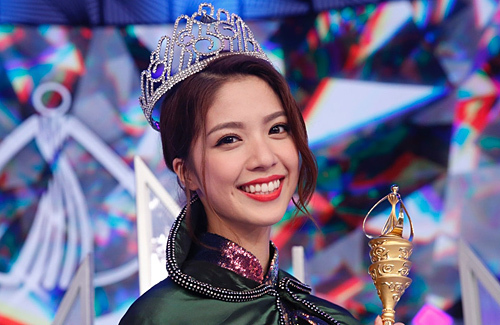 The 2019 Miss International Chinese pageant concluded on March 2, 2019 with #5 Hera Chan (陳曉華) from Hong Kong being crowned the winner. Taking first runner-up is Stephanie Wang (王慧媛) from Hawaii while Gina Wu (吳雅珠) from New York won second runner-up. For the most part, the questioning and answering segment went well, however viewers criticized the hosts for weak and awkward Mandarin that confused the pageants. In addition, the questions were shallow and focused too heavily on relationships. During the questioning and answering segment, the top 10 contestants changed into their bikinis and showed off their good figures. Stephanie overshadowed the other contestants with her voluptuous body and healthy bronzed skin tone. While Hera’s figure may have looked inferior compared to Stephanie, Hera still put in her best efforts and smiled sweetly throughout the segment. However, Hera gave a mediocre performance when asked how she would reject a marriage proposal. When host, Luk Ho Ming (陸浩明) “proposed” with a 2.5 carat diamond ring, Hera replied that she prefers handmade items. After asking if she would prefer being gifted a building instead, Hera joked she would like it, so she can live closer to TVB studio, but insisted that the thought of the present matters more. In the talent segment, Hera performed an aerial yoga sequence with a hula hoop as her talent and impressed the audience with the difficult movements. At the beginning, Hera appeared to make a mistake by missing her hula hoop, but was able to effortlessly recover. Other standout performances included second runner-up Stephanie’s mesmerizing Hawaiian Hula dance and Lisa He’s (賀灘灑) high energy hip hop dance. With Hera’s winning the Miss International Chinese title, it broke the five-year drought since a delegate from Hong Kong won. A completely fixed outcome. Hera made mistakes in her aerial yoga segment and TVB cut it out of the program for reruns! The london contestant didn’t even make it to top 10 and Tahiti didn’t even place top 3. It’s a big show for tvb to crown whoever they want. @bubbles23 yep totally agree, Hera didn’t even answer the question well about the proposal. @bubbles23 Agreed. It looks like they didn’t deduct any points for the that performance. Also I felt she didn’t answer the question well at all. Totally agree the winner from HK gave a mediocre answer during Q&A, in fact majority of the contestants gave mediocre answers or totally not relevant answers. Number 19 from Vancouver gave the most silly answer. So far New York did the best in Q&A and talent round. The host are such a mess and their arrangement is confusing.